There are many who believe that Salvia divinorum is a cultigen and is not capable of reproducing properly in the wild. The seed is rarely viable and is produced in an erratic fashion by the plants. These plants grow naturally in conditions of constant high humidity and mild temperatures. They do well in filtered or partial sunlight. Be careful to acclimatize your plants before putting them outdoors, in the sun, or in drier conditions. The tropical varieties of these plants do well with regular misting as long as the water drains quickly from the leaves. They also enjoy being set in a large saucer of water as long as the bottom of their pot is not sitting directly in the water. This method helps maintain a moister microclimate around the plant. If the leaves start to curl under or acquire distorted shapes, that is a sure sign of lack of humidity. Since the tropical plants require high humidity to thrive, many people grow them under humidity tents, or in terrariums especially in drier climates. Some growers are able to keep their plants outside a good part of the year by misting daily. However here in the Midwestern U.S., these plants wilt within a few minutes of being taken out of their tent and will die as quickly as 20 minutes, even in the shade. Have even heard of people using Salvia as a aquarium plant. As long as the plant and root get adequate amounts of oxygen they will not rot. The "Easy Care" variety needs only regular waterings, and maybe to be set in a saucer of water when grown in very dry climates. Do not let the soil become waterlogged. Maintain a temperature of 10 C or greater. These plants are quite cold sensitive and are easily killed by frost. They will not regrow if the stem freezes at or below soil level. Salvia does well with regular feedings. Many people prefer organic fertilizers like fish emulsions, but commercial synthetics work too. I have found the plants like a slightly acid fertilizer. 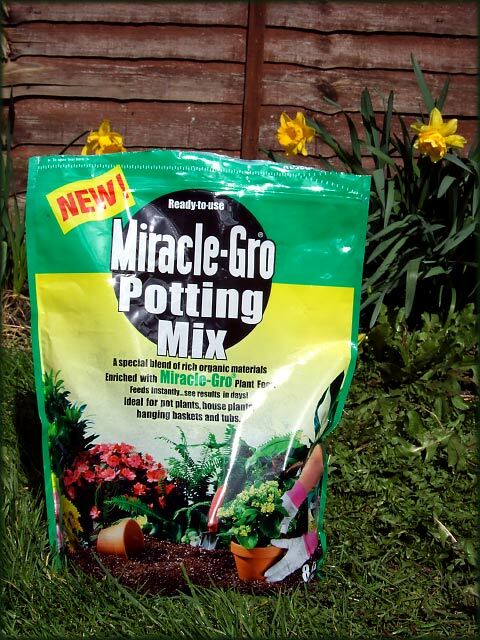 I mix equal parts of miracle-grow and miracid and feed both via the soil and by foliar spray. Leave at least 2-3 weeks between the last foliar feeding and harvest so the nutrients can be completely absorbed. Burning Salvia leaves as an incense when there is fresh chemical fertilizer on the surface may produce the nitrates to turn into nitrosamines, which is not a good thing to breath. Cultivation is almost always vegetative by rooting a fresh cutting. Cuttings are very easy to root as long as high humidity is maintained without waterlogging the soil. If roots form at the top of the soil and not towards the bottom of the container then the root are getting insufficient oxygen. Do not allow the soil to stay too wet for too long, it may cause root/stem rot, or cause the leaf tips to turn brown and rot. If grown under a tent, the plant should be given fresh air and a good misting every few days. Be sure and apply a fungicide/rooting hormone to the cut end before placing the cutting in the soil. This will help assure that no infection overcomes the plant while rooting. Don't forget to snip a few millimeter of tissue from the end of your cutting before dipping in the rooting mixture and planting.This will reduce the chance of an embolism (air bubble) forming and blocking the transport of water and nutrients to the plant. Have also heard of a few people who crush the ends of the cuttings prior to planting, but I have not tried that method. Always wait a few weeks to let the plant acclimatize prior to repotting. If you are putting your plant in a container, make it a porous clay pot. It allows better oxygen penetration and permits excess moisture to escape more readily. You may need to occasionally wipe of any mildew that accumulates on the pots, it is just unsightly and does no harm to the plants. These plants bloom in the wild from September through May. Very difficult to get to flower in captivity, even while carefully controlling the photo period. It has been found that a controlled photoperiod of 11 hours for a few weeks is sufficient to force blooming. There has been some very limited success at producing viable seed from this plant indoors, but it requires expert care and tightly controlled conditions. The pollen from male plants is generally low in viability with over 50% being unusable. There are only a few known examples of this plant having been grown from seed, and most seed grown plants are stunted and grow slowly. Daniel Siebert collected some seedlings growing under a large Salvia plant on G. Wassons property in Hawaii, and managed to raise them to maturity. Unfortunately, this same plant has never again produced any seedlings, and the necessary parameters for producing viable seed are unknown. You should begin fertilizing newly rooted cuttings about a month after they have been transplanted to soil. Seed-raised plants can be fertilized once they reach a height of 5 cm (2 inches). Begin with a half-strength fertilizer solution for the first few applications, then use full-strength solutions according to the manufacturer's suggestions. Just about any general purpose fertilizer will work fine but be careful not to over feed them. They respond well to regular feeding but they are sensitive to excess fertilizer and will put out deformed growth if over fed. The plants appreciate a lot of room for their roots so they should be re-potted to larger pots every few months if they are growing quickly. They grow best in light shade with no more than three or four hours of direct morning or afternoon sun. They do not like any strong direct light. On the other hand they do not do well in deep shade either. You may want to plant them in the ground if you have a suitable location. They can grow very fast in the ground, as much as two meters in six months. The stems of Salvia divinorum are not very strong, when the plant gets taller than about one meter tall it will fall over if not given support. Sometimes the stem will break off, but usually it will just bend over and if the bent over stem is in good contact with moist soil it will quickly root and eventually send up new stems from the new location. This is the main way that the plant spreads in the wild since it almost never produces viable seed. The ideal temperature range for the plant is about 15 - 27C (60 - 80F). They will readily tolerate temperatures about 10C (18F) above and below this range but the plants tend to grow slowly outside of their ideal temperature range. It also prefers a fairly moist atmosphere and will be happiest when the relative humidity is above 50%. Dry air tends to cause the plant to put out deformed growth. Seeds should be stored in a sealed dry container. Their viability can be extended considerably if they are refrigerated. The seeds should be planted 2-3 mm (0.08-0.1 inch) deep in a good quality potting mix. So as not to dislodge the seeds, which are tiny and close to the surface, the soil should either be watered from the bottom, or watered using a fine mister. The soil surface should be kept moist, but not soggy. If the seeds are viable, most will germinate in two to four weeks. Salvia divinorum seedlings are rather delicate and slow-growing at first. They must be nursed along patiently. Eventually as the plants grow larger, they will become stronger and more resilient. Since Salvia divinorum is usually propagated from cuttings, most plants in cultivation are genetically identical clones derived from just a few introductions—primarily the "Wasson/Hoffman" clone. When you start new plants from seed you are establishing new, genetically unique individuals and thus doing important work to help expand the genetic diversity of this rare species. Should you obtain plants from seed, please maintain them very carefully. By propagated and sharing new strains with others, you help insure their future survival because you are making sure that their continued existence does not depend on a single individual. Please be careful to label your seed-raised plants so that they do not get confused with other strains in your collection. Most Salvia divinorum plants are indistinguishable from eachother, but occasionally a seed-raised plant will be visibly distinctive in some way. If you do obtain an unusual plant, please contact me at: salvia (at) plantae (dot) sk. Salvia divinorum is a relatively easy plant to propagate from cuttings. Small cuttings will usually root within two or three weeks. Cuttings seem to root best when they are between two and eight inches long. They should be cut off of the mother plant using sharp, clean shears. The cut should be made just bellow a node. To root the cuttings in water: Put each cutting into a glass of water. Each glass should be filled about 4 -5 cm (1 1/2 - 2") deep. It is a good idea to use a separate glass for each cutting so that if one starts to rot it doesn’t spoil the water and kill the others. Leave the glasses indoors in diffuse light and add a little water as necessary to maintain the water level. In about two weeks you should see some roots starting to form. Some cuttings may root more quickly than others. I find that they root just fine in plain water and no rooting hormones are necessary. When the cuttings have several roots 1 - 2 cm (1/4 - 3/4") long, they should be planted in pots of loose potting soil and watered well so that the soil is completely moist. Keep them indoors for another two or three weeks so that they can establish a good root system in the pots with out having to deal with the wind and big temperature swings of the outdoors. You will need to keep the plants in a moist environment for a few days after moving them from the water to the pots to keep them from wilting. The easiest thing to do is to just cover the whole plant with a large upside down jar or use a big plastic bag with a wire cage support to keep it from collapsing on the plant. Spraying them with a fine mist occasionally is also a good idea. Don’t wait too long to move the cuttings from the water to soil. If you do the roots will be more prone to damage and the cuttings will begin to starve for nutrients.